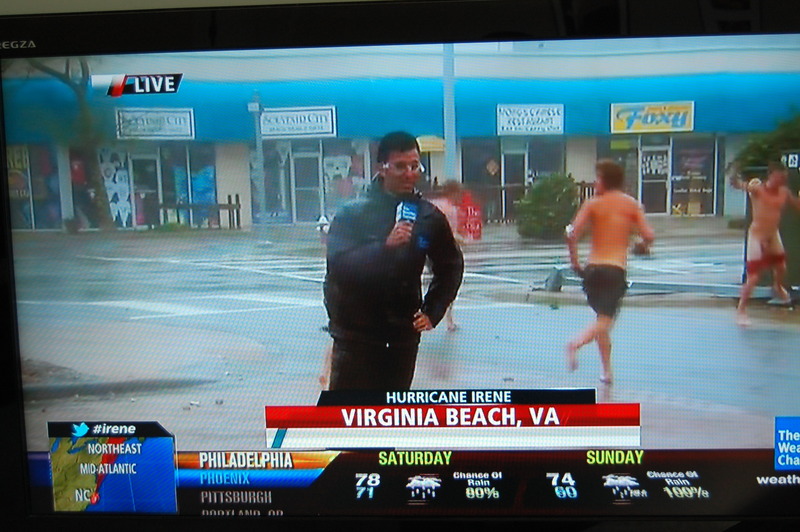 While hurricane Irene wreaked havoc on the eastern seaboard, it is almost a relief to be able to pin our misgivings on a natural disaster. Perhaps we can blame Irene for the Jack White I.C.P. collaboration, or Lil Wayne's uninspired Tha Carter IV or whoever is watching Kanye and Jay-Z's Throne. So without further ado, let us explore the week that closed out our summer in no particular order. "We have been slowly coaxing this caterpillar into a butterfly with our fists. Check it out, girl-- a new face to fit both our past to date and the futuresex we are slowly growing into. Stand before a mirror, hold your palm over your right eye, and repeat Born Gold six times." 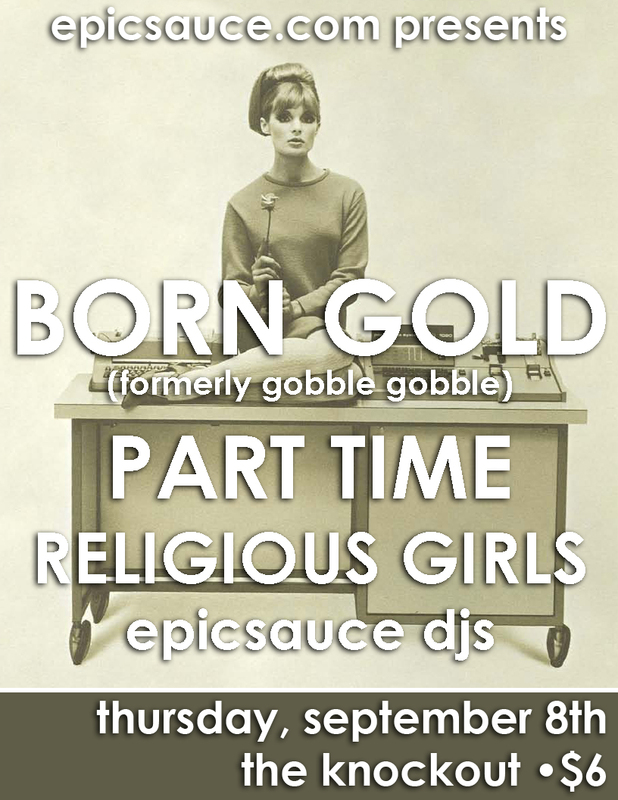 Enjoy the cyclone of sound that is “Alabaster Bodyworlds” and be sure to catch Born Gold at the Knockout in SF with Part Time and Religious Girls next Thursday should you find yourself in the Bay. Purity Ring and BRAIDS have plans in the works to release a split 7″ this October 11. I must admit to be a fan of PR's bedroom-production style beats that translate well to the warehouse or mainstage of your local techno club. Check out the latest video from Wale with Jeremih and Rick Ross from Maybach Music Group's “Self Made Vol. 1” and “The Eleven One Eleven Theory” mixtape. Get ready for the super sultry vibes, laid back flows about vacays, “TSA laughin' at all the rubbers in your luggage,” amongst many other accoutrements for the boss baller. And here is G-Side's “I'm Sorry” remixed by Jake One. In a world of artificially manufactured beats and samples, there is something so organic at work here that it brings to mind 70s summer breezes, jazz backing bands, driving aimless about town at dusk for the sake of cruising. Maybe I'm hearing things, but is that a live drum kit on the track? Despite Curren$y not being able to perform at Rock the Bells at the Shoreline Ampitheatre, they made up for it by releasing this video of Mobb Deep talking about the recording of their famous 1995 record; The Infamous. Also, another official leak from HTRK's Work (work, work) was made this week on Ghostly International's SoundCloud page. Given that the release of their second album is less than a week away (September 6), the heavy weight of the song's electronic circuitry and Jonnine Standish's numbed refrains, “Synthetik” can still only be heard here. Cleveland duo Mr. Gnome are preparing to release the Madness In Miniature this October. Behind the Gnome are Nicole Barille and Sam Meister, who recorded their third at QOTSA'sJosh Homme's Pink Duck Studios in L.A. On their first single “Bit of Tongue” Nicole's voice steers the sound on a spontaneous route that touches on a fragile folk fringe one minute to stacks of scuzz 10 stories high the next. While taking a break from his day job as a cartoon character/curator; Damon Albarn gathered together producers Actress, Dan The Automator, Jneiro Jarel, T-E-E-D (Totally Enormous Extinct Dinosaurs), Richard Russell, Marc Antoine, Alwest, Remi Kabaka, Rodaidh McDonald and Kwes to record top Congolese talent. Recorded in Kinshasa, Democratic Republic of Congo over a 5 day period last July, the the results were Kinshasa One Two on Warp Records and OXFAM. While I could weave a million negations with regards to my thoughts on Albarn, or the Paul Simon reappropriation of 80s Soweto beat for Graceland, Rhythm of the Saints, etc., Albarn's heart is in the right place. And regardless where you side with the ol' dodgy Gorillaz project, this is his best project to date in over a decade. A big thank you to Veronica Falls and their video for “Bad Feelings,” which makes bad vibes good again for all of us anxious listeners. Despite this being a band that enjoys playing with issues of anxiety and doubt, there remains a genuine charm and a keen sense of 50s rock played through the modern indie lens. Their self-titled album drops this September 20 in the US and Canada on Slumberland, and October 17 everywhere else on Bella Union. Their tour begins the following day in SF. Check listings for further details. And here's a video number of Iceage's “You're Blessed” featuring live footage from their recent U.S. tour for those, like myself, who came to their punky partay a few hours too late.